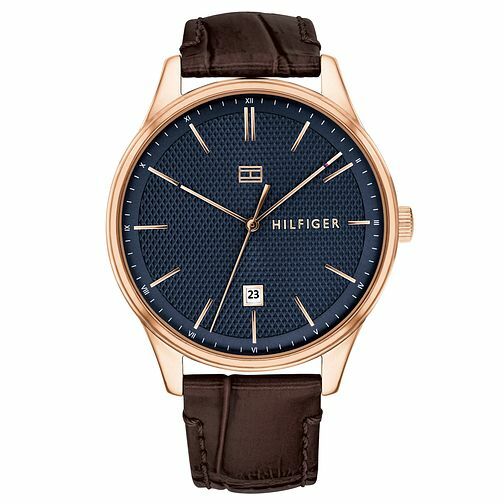 This classic men's watch by Tommy Hilfiger features a dark brown leather strap and a 44mm rose gold ion plated case with a navy dial. The dial is complete with date at the 6 o'clock mark, rose gold batons and the signature Tommy flag logo. This watch is also water resistant to 5 ATM and comes with a 2 year international warranty.